Dental Assistant Career - Have The Passion? Dental Assistant Career – Have The Passion? Start a new career as a Dental Assistant!!!! One of the PERKS for our Dental Assisting students is a full professional Teeth Whitening kit to whiten their own teeth (a $300+ value)! Each student gets to make their own impressions and teeth whitening trays. I think that’s one of the reasons our graduates have such big smiles!! They love showing off their newly whitened teeth! Our January class has been an extraordinary class of students!! 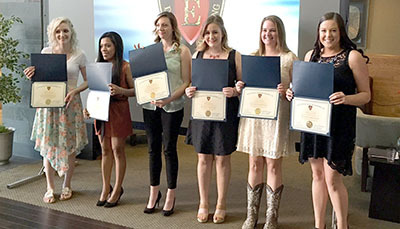 Congratulations Halle, Jenny, Jessica, Maria, Mary, McKenzie, and Tiffany! Almost every student was hired prior to graduation!!! They have worked hard, studied hard, and become very good friends. 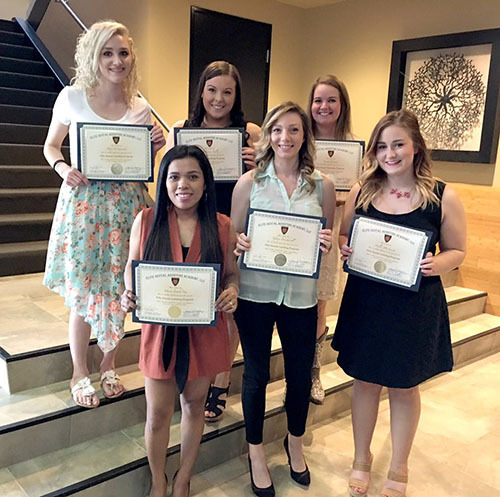 They supported each other and have reason to celebrate their new careers in Dental Assisting! If you have the motivation and desire to change your life, Call us now at 360-433-0788, or email us for more information and to see if you qualify. Dental Assistant Scholarships – Celebrating 7 Years! Dental Assisting – Best Career For You? Dental Assistant Career – Are You Ready? Dental Assistant Graduation – Got What it Takes? Deanna S. on Dental Assistant Career – Are You Ready? Kate K. on Dental Assistant Career – Are You Ready? Heather S. on Dental Assistant Training – Do You Have What it Takes? Nancy R. on Dental Assistant Graduation – Got What it Takes? Samantha S. on Dental Assistant Training – Do You Have What it Takes? Allen S. on Dental Assistant Job Before Graduating!